Deschamps is the latest manager to take over France and he has the advantage of coming after the highly disappointing reign of Reymond Domenech. His bankrupt strategy became self-evident last time the French participating at the World Cup, as his team suffered an untimely elimination. Deschamps will receive a winners’ welcome if he finds a way to qualify France to the semifinals and with a bit of luck, this seemingly impossible performance could be within reach. 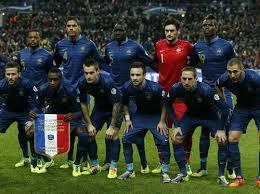 The reason so many distrust France to make a deep run in the World Cup 2014 is that they didn’t show much the last time they played in the final tournament. On the other hand, if we check out the starting formation, we will see that they have plenty of gifted players to rely on. The offensive compartment is by far their best asset, with five internationals none older than 27, ready to spearhead the offensive. The manager will only need to decide which of the strikers to be given a chance in the starting formation and it looks like Deschamps will use them alternatively. Giroud, Lacazzete and Benzema are the ones that will play in most games, but nobody can rest assured that he has a spot in the first 11. The midfield is equally potent and with players capable of shifting from one area to the other, France is going to be a serious threat for stiff defenses. Ribery and Valbuena are two remarkable players who are generally underrated, but both of them will provide the strikers with useful balls. They have no hesitation in joining the strikers when opportunity arises and much to their credit, they are willing to pass the ball instead of making attempts at the goal. Ribery is every bit as experienced as he is talented, something that France will need when things get serious, more precisely when 16 teams are left. The group stage is not going to be a burden for the former champions, because neither Switzerland, Ecuador nor Honduras are capable of defeating France. All of them will play defensive football and hope that one of their strikers will get lucky on a counterattack, free kick or corner. Any of them would gladly settle for a draw in the head to head game, which means that they won’t start with more than one striker, because they don’t want to expose themselves to danger.